To Tracy Angelica Quartermaine, with love. I put off watching this episode for a few days because I knew it would destroy me. And hey, I was right! TRACY: I love you all. The people in the room are the ones I hold in my heart. The time has come for me to step out of my father’s shadow. I need to make a life of my own. I can’t do it here. Which brings me to my announcement: I’m leaving. Yes, I would like some crackers with that cheese. The man is kind of like a bag of Sour Patch Kids, you know? Sure, if you eat the whole thing, your mouth is going to hurt. But a little bit of him admonishing other people for being melodramatic while giving a speech about impregnating his ice princess with her own stolen embryo is just the perfect sugary hit you need. Calling all Gatekeepers, past and present. You’re probably expecting me to say something about how Shawn’s self-righteous hypocrisy. (Spoiler alert: he is terrible. Team Jordan forever!) Or about how poor Jason Thompson had to act out the heartbreaking end of his eight year relationship with an inanimate object. Or about how Nina is alive — to the shock of no one who has ever watched television before — and now being played by Michelle Stafford, which means we will literally never be rid of this effing story. ALEXIS: I don’t want to talk about Tracy and Luke anymore and their love life. I want to talk about you. And yours… or lack thereof. NED: Excuse me. I do very well for myself, thank you very much. ALEXIS: Jax is worried that you’re not getting out enough. OH EM GEE, YOU GUYS. I just love them and their easy teasing affection and how they know each other so well and are both obviously in touch with Jax off screen, because JAX AND NED! Best business bros ever in the 90s and I still miss their friendship so much. Sometimes, it’s the little things that make me that happiest, you know? 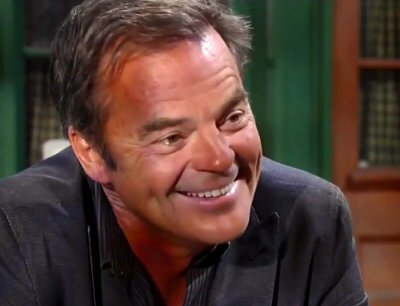 Also, Wally Kurth and Nancy Lee Grahn just sparkle at each other still. I love that he confided in her about the FauxLuke situation, and that she opened up about Julian and how hypocritical she feels. Basically everything about those scenes was an utter delight to me, is what I’m saying. But bless his little heart, Nathan’s natural awkwardness and forced delivery actually worked in this one instance, and his sad “please love me” puppy dog eyes as she walked away were really very endearing? I’m sorry. I have a certified weakness for sibling stories, and now I kind of just want these two to bond and be besties and take on the world together. It’s a bad sign when you’re too bored to rant. 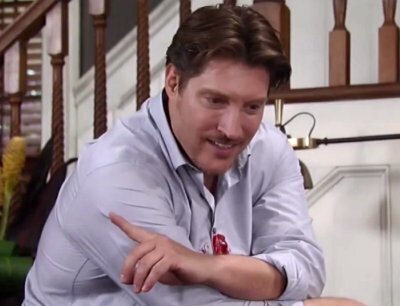 Friends, it’s been over two weeks since I last wrote anything about General Hospital. I think that’s a new record? It’s not that I haven’t been watching. It’s just that the days have all blended together in a big boring haze of Franco and Carly bellowing, FauxLuke being gross with Kiki, pre-teen love triangles, and Sabrina and Patrick making doe eyes at each other.